2017 altar in memory of Sister Karen Boccalero at Self Help. 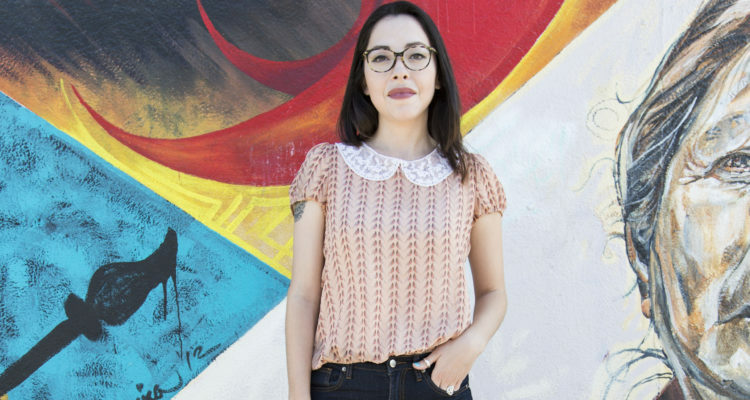 Betty Ávila grew up in Cypress Park and went to high school in El Sereno and Boyle Heights, but she never entered Self Help Graphics’ famed printmaking studio until she was an intern at the Getty Institute in Brentwood, while going to Pitzer College in Claremont. 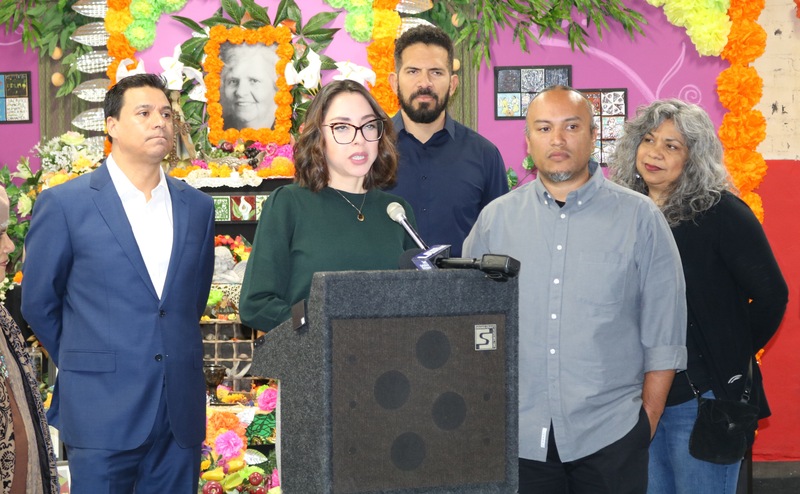 As Self Help Graphic & Art marks the 45th anniversary of its signature Día de los muertos event on Friday, Ávila will be at the helm of one of the Eastside’s –and perhaps Los Angeles’– most important art institutions. In August, the 32-year-old arts administrator was named its executive director, following the departure of artist Joel García in July. Prior to that, Ávila had served as co-director with García – he had been in charge of programs and operations and she of advancement and administration. Ávila –who went on to get a Masters in arts management from Claremont Graduate University after Pitzer, and who held positions at the Music Center and the Levitt Pavilion in MacArthur Park prior to joining Self Help in 2015– takes the helm following Self Help Graphics & Art acquisition in May of its current building, a former seafood processing plant on 1st Street. 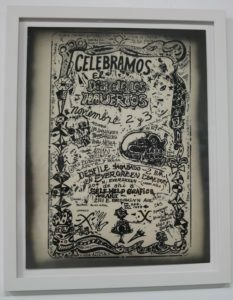 A key player in the Chicano movement of the 1970s, Self Help Graphics & Art was founded in the East Los Angeles garage of Sister Karen Boccalero, a Franciscan nun and printmaker. 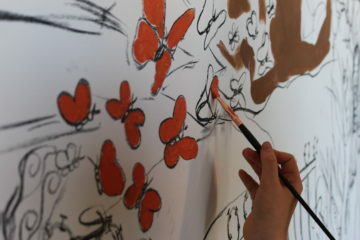 It started with a small group of young Latino artists who used their medium to spread social justice messages. 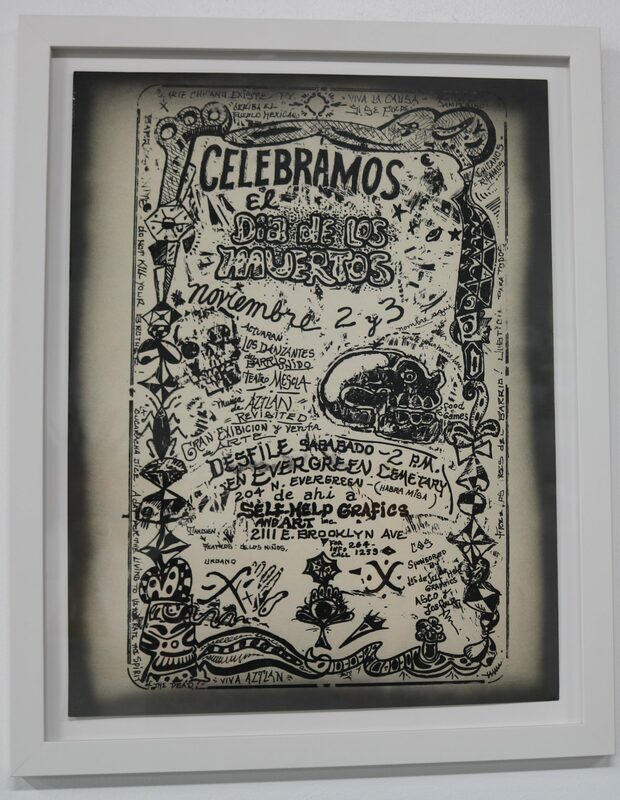 From the onset, these artists involved members of the community in the process of making art and organizing programs, such as a 1972 Day of the Dead event considered to be the first public commemoration in the United States of a tradition rooted in Mexico’s indigenous origins. Ávila at a 2017 press conference. After Boccalero’s death in 1997, Self Help went through a period of financial turmoil that forced it to move out of its landmark location on César Chávez Boulevard and Gage Avenue. A successful fundraising campaign allowed the organization to raise the $3.625 million needed to acquire the former Ocean Queen packing plant from the City of Los Angeles. While acquiring the building meant overcoming a huge hurdle, Ávila said the organization is still running a capital campaign to renovate its headquarters. “We’re continuing to fortify and strengthen the administrative backbone of Self Help Graphics, and really creating an infrastructure that will support us as our programming grows, as we continue to amplify Self Help’s presence here in the neighborhood and regionally,” she said. Ávila said she saw her appointment as a “passing of the baton from one generation to the next” and that she was elated and humbled to become executive director. A poster for the 1974 Day of the Dead celebration at Self Help Graphics by artists collective Los Four. 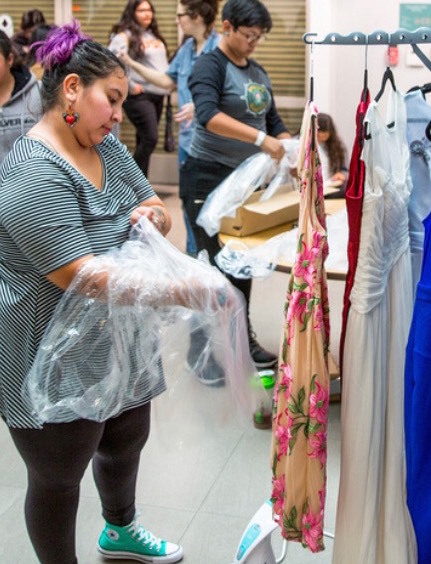 “I think it’s a testament to the innovative work that they were doing at the time,” she said, adding that the Self Help founders were pioneer in community engagement practices more common today. A big part of the legacy is exemplified by the Day of the Dead event, on which community volunteers work for weeks prior to the Nov. 2 date. 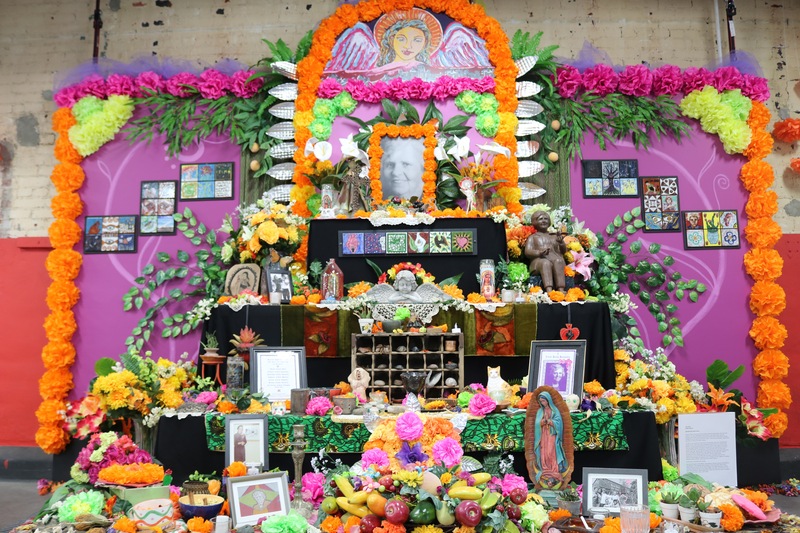 The celebration, which long ago outgrew the Self Help Space, attracts hundreds of revelers to the Méndez High School campus across the street and usually involves a procession at dusk from Mariachi Plaza. Ávila said that plans for the celebration were unchanged by the surprise departure of García, who had organized the event since 2010. “We can expect to see the same elements that we have with our procession, with the community made papier-cache calacas, we’re going to be having some papier mache skeletons on bikes this year, and also potentially a VW beetle that’s going to be transformed into a day of the dead skull,” she anticipated. 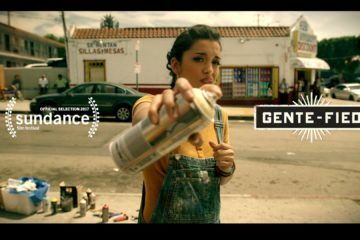 In spite of its institutional success, Self Help Graphics has also had to deal with a boycott organized by Defend Boyle Heights and other groups, that claims the organization has veered from its mission by aligning itself with developers and by engaging with some of the galleries and art organizations that have been accused of contributing to gentrification in Boyle Heights. While some of the accusations personally targeted García, Ávila insisted his departure had nothing to do with that. She said Self Help stood by its assertion that it is a foe of gentrification. Asked to define Self Help’s role in 2018, Ávila said it was to build on its legacy to expand its reach. “Self help graphics is a total bridge,” she said, “and it’s at this incredibly important intersection of legacy of community based work and the kind of artistic social practice that is so common now, that was innovated here in this space. It’s where that kind of work meets, it’s where the production of incredible art meets, it’s where community-building meets, at this intersection. And really as a bridge into other parts of the city, even other parts of the world. The 2004 Bravo High School graduate recalled her own first visit to Self Help.